Avril Organic Bath and Massage Oil harnesses the power of nature to provide a deeply relaxing experience. It can be used by adding a couple of drops to a warm bath, or as a massage oil applied directly to skin. It uses ylang ylang essential oil to invoke a feeling of calm and relaxation, soothing the mind and body. Argan oil adds a hit of moisturization, helping to increase smoothness. 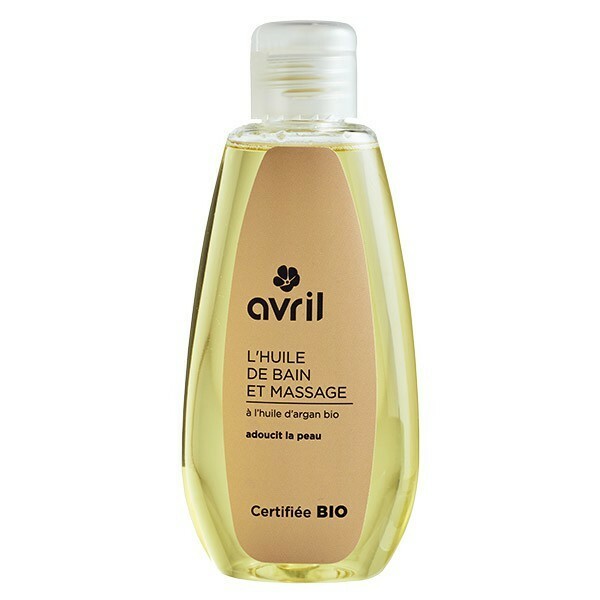 After soaking in the bath with Avril Organic Bath and Massage Oil, apply the Avril Aloe Vera Massage Gel to tired limbs. Helianthus annuus (sunflower) seed oil, polyglyceryl-3 diisostearate, arganiaspinosa kernel oil*, parfum (fragrance), linalool, canangaodorata (flower) oil*, limonene, cinnamomumcamphora (camphor) bark oil, citrusaurantiumbergamia (bergamot) fruit oil*, benzyl salicylate, mauritiaflexuosa fruit oil*, tocopherol, benzyl benzoate, anise alcohol, farnesol, geraniol, citral rosadamascena flower extract*. This product is not suitable for pregnant and breastfeeding women as well as for children under 36 months (presence of essential oils).